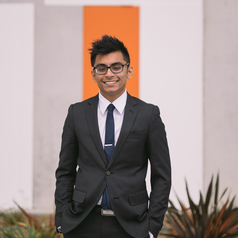 Joshua Yuvaraj is a PhD candidate in the Faculty of Law at Monash University. He is working on the Authors Interest Project with Associate Professor Rebecca Giblin (authorsinterest.org, @authorsinterest). He has a BA/LLB(Hons) from Monash University and has published articles in peer-reviewed journals on intellectual property, privacy law and international criminal law.